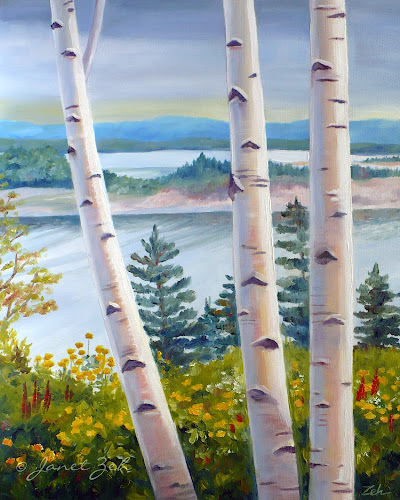 White birch trees stand tall with the sea behind. This painting is inspired by a lovely summer scene in Nova Scotia. 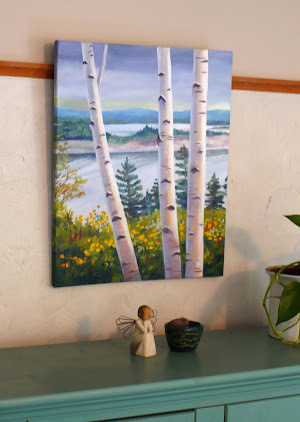 The canvas edges are painted so it can be displayed unframed or framed. 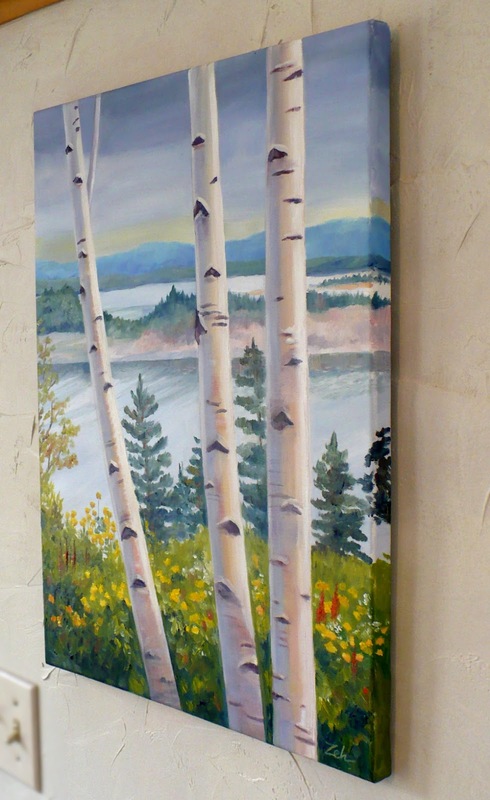 Painted with permanent professional oil paints for a rich color that lasts. Lightweight and easy to display. The painting is done on stretched canvas and painted on the edges with attached wire on the back for hanging. 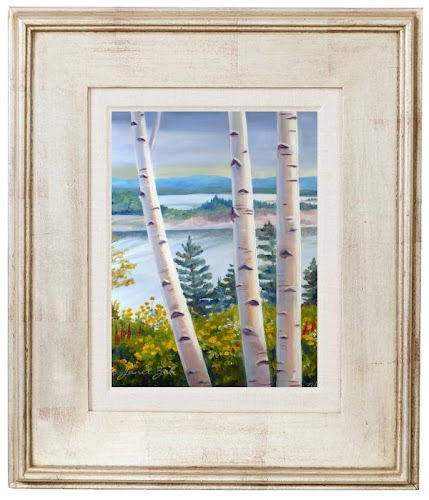 No frame is needed, however it could easily fit in a 16x20 inch frame if desired. 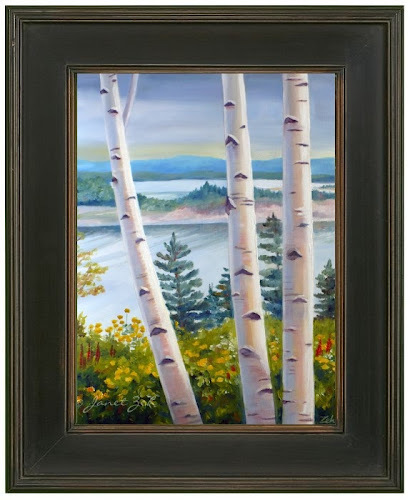 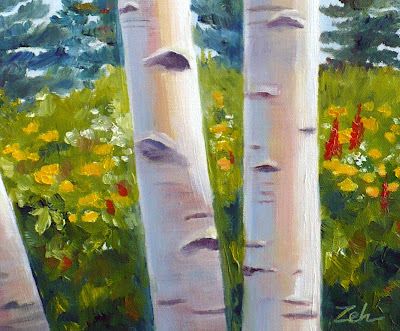 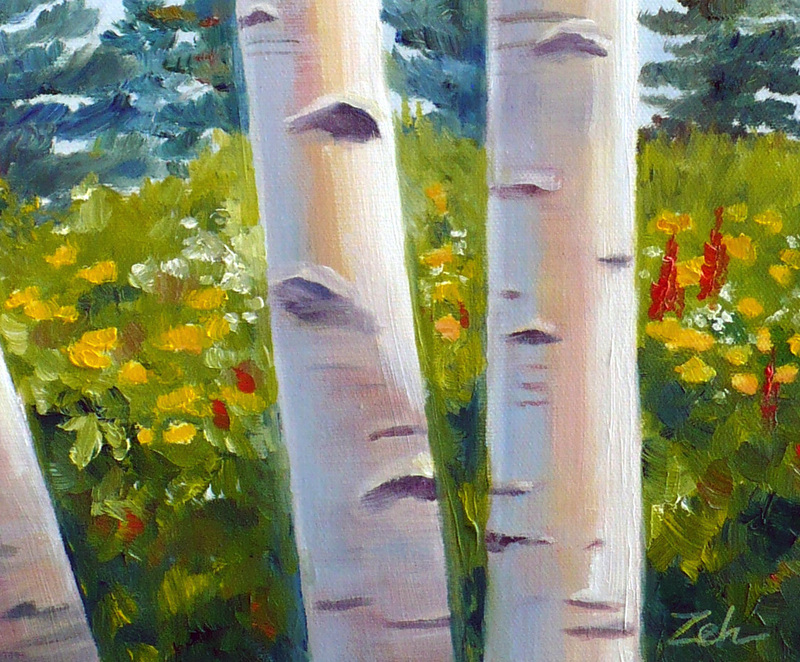 "Janet's art pulls me into that place and time and makes me feel the sensations as if I were there physically - sights, sounds, textures..." ~Susan W.
See how I painted these birches in oils!